Over the weekend I spent some time picking up some things to update Maddux’s warm weather clothing. It’s (THANKFULLY and AMAZINGLY) in the 70’s here already, so his long sleeves and sweaters no longer cut it. He is currently in a 5T as a 2 year old, so his summer clothing from last summer will definitely not work. I try to not spend a ton of money updating his wardrobe every season knowing there is NO chance he’s wear them again a year later (however, thankfully all of his clothing has gotten more use out of them by sending them to my nephew to wear, and then any future boys of mine will wear them again). I thought I would share some of the things we picked up for him because there are amazing deals on almost all of them! We buy 2-3 Nike shirts because Seth loves Nike and those aren’t exactly cheap for children’s clothes… but otherwise we spend very little on his clothing per item if you get them at the right time. Right now everything at Old Navy (where we picked up most of his things!) is 40% off! Woot! We also splurge a bit for his shoes. He only ever has about 2 pairs at a time and wears them every day until he grows out of them, so we make sure they are great quality. 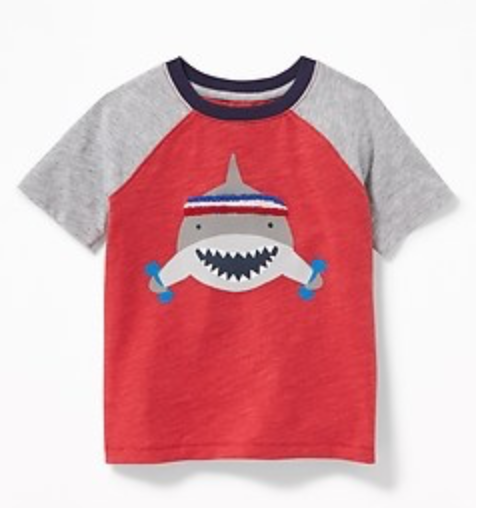 For everything from Old Navy, use the code STYLE for the 40% off! They are kind of a dry-fit material like the Tiger Woods Nike golf pants for men if you have ever felt them. Incredible quality! And blue. They are THAT good. He had these last summer too. They have such a “cool guy” vibe. These are the best jeans, such a perfect fit! Easter and church shirts that don’t require a ton of upkeep! The next couple are from Target! They always have cute and inexpensive clothing. Love a good henley tee! The next few are splurge tee’s because we love a good Nike fit! Grey that matches all 3 dry-fit shorts! Love the 90’s feel of this tee! FAVORITE TODDLER SHOES OF ALL TIME! They fit amazing. Go on easy. Perfect for summer. Perfect for pools and lakes and splash pads. Clean easy. Fit chubby feet too. Need I say more? !